– Mahatma Gandhi, at a trial court on March 18, 1922 after he was arrested following the calling off of the Non-Cooperation Movement. The apostle of truth and non-violence, one of the greatest upholders of peace and harmony humanity has witnessed, and the leader of India’s freedom movement, Mahatma Gandhi and his ideas continue to inspire generations. From Martin Luther King Jr. in the United States to Nelson Mandela in South Africa and many other leaders and people around the world who have stood and fought against oppression and injustices of various kinds have been inspired by the ideas, principles and the life of the Mahatma. In this essay, some of the most important ideas of the man who changed the world by being simple and humble yet strong and determined are looked into. Mahatma Gandhi considered that modern civilization is grounded in a fatally flawed theory of mankind which takes note neither of morality nor of religion. Modern Western Civilization was completely body-centered and materialistic. It attributed to mankind selfishness and infinite multiplicity of wants. It led to a life devoid of meaning and purpose because it had no guiding moral principles. People in the West and around the world today have slowly realized the callousness of this modernity. Today we see people embracing minimalist and simple lifestyle and slowly turning away from extreme materialism. In his Hind Swaraj, Mahatma Gandhi also argued that despite all its egalitarian pretensions, modern western civilization is discriminatory, exploitative and violent. All this was manifested in the practice of imperialism that the Western world once aggressively followed. Today, imperialism is a rejected idea and the very practice of it in any form is condemned by the world community. The people’s slow appreciation of a life which is not entirely materialistic and rejection of exploitative practices such as imperialism are testaments to the relevance of the ideas of Gandhiji. ‘Satyagraha’ literally means ‘holding onto truth’. According to Mahatma Gandhi, Satyagraha is ‘love-force’, ‘soul-force’, or ‘truth-force’- the force which is born of truth and love or non-violence. Satyagraha is different from both passive resistance and violence. The core principle of Satyagraha is to oppose the tyranny but not the tyrant. A satyagrahi should be ready to give up his life rather than take the opponent’s life. Satyagraha leads to the conversion of enemies into friends, and peaceful resolution of conflict which is mutually accepted. The purpose of Satyagraha is to substitute force-obedience by willing-obedience and involuntary cooperation by voluntary cooperation. The Gandhian method of peaceful resolution of conflict is the basis of conflict resolution that has been guiding the United Nations and many other parties in conflict in the contemporary era. The world community endorses the idea of peaceful resolution of conflict in regional, national and international disputes. In this context, Mahatma Gandhi and his ideas are becoming increasingly relevant. ‘Swaraj’ means ‘self-rule’ and ‘self-restraint’. For Gandhiji, Swaraj is a constitutional, democratic political order as well as the economic independence and self-sufficiency. Mahatma Gandhi believed that ‘Swadeshi’, meaning economic independence and/or self-sufficiency, is necessary for putting Satyagraha into practice and winning Swaraj meaningfully. He was of the view that freedom was bound to remain a mere philosophical abstraction unless the vast masses had some gainful employment. Therefore, he actively supported village construction, employment of the masses, etc. Realizing the importance and relevance of Gandhian philosophy of village development and meaningful employment of the masses, the Government of India has been actively pursuing various programs to develop villages and provide employment. Mahatma Gandhi National Rural Employment Guarantee Act (MGNREGA), the largest employment guarantee scheme in the world at present, is one fine example. Mahatma Gandhi’s ‘Swaraj’ also means ‘Sarvodaya’ which means ‘freedom for all’ and/or ‘welfare of all’. Sarvodaya philosophy envisioned what Gandhiji called ‘Ramrajya’, which is Gandhiji’s version of ‘Kingdom of God on Earth’. Though considered idealistic and a utopia, Mahatma Gandhi championed ideas of equality, freedom and justice in his philosophy of Sarvodaya. He wanted a society free from inequalities, exploitation, discrimination and injustices. Is not this what many people especially the youth fighting for? Today, we condemn injustices, we fight against exploitation, and we dream for an equal and just society. The Anti-Slavery March in London against a CNN released undercover footage of what appeared to be a slave auction in Libya (2017), fight for practical ending of caste discrimination in our country, call for gender equality, demand for fundamental right to work- all of these reflect the willingness and urge to ensure a just and equitable society. Noble end demands noble means. The end of an action would be good only if and to the extent the means are good. Mahatma Gandhi strongly believed that ‘end’ is as much important as the ‘means’. Such a noble and truthful dictum remains eternally relevant. Though Mahatma Gandhi’s ideas and principles are appraised and accepted by many, they are not free from criticisms. 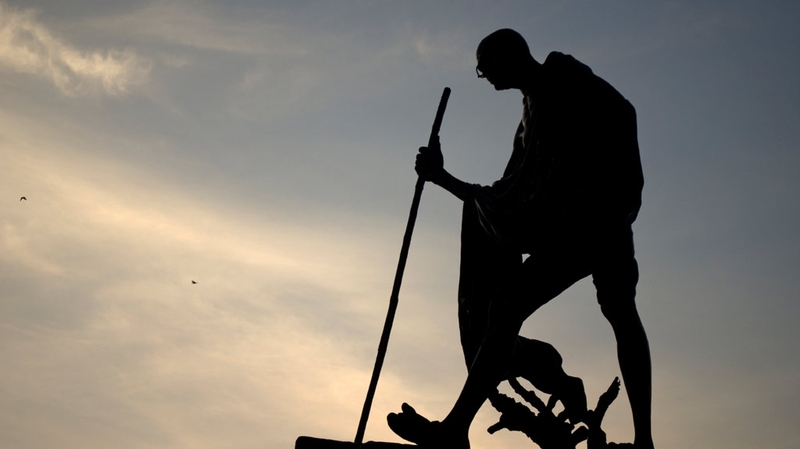 Some scholars argue that since Gandhiji largely concentrated on the darker side of modern civilization, he overlooked some of its great achievements and strengths. Since he saw it from the ‘outside’, he oversimplified it and did not fully understand its complex structure. Mahatma Gandhi’s stress on khadi and simplicity at the cost of huge industries and ostentatious life is considered an anachronism. Critics argue that huge industries are needed for economic self sufficiency. Besides, critics say that Mahatma Gandhi’s concept of Satyagraha and Ahimsa (non-violence) are very limited. India fought war against Pakistan and China; moreover, non-violence can hardly solve the problems created by nuclear weapons. Further, some critics argue that in today’s politics, ‘end’ justifies ‘means’; none of the politicians seem to adhere to the Gandhian dictum of ‘just means and just ends’. Though some of these criticisms hold ground, it does not mean that having some of these limitations make Gandhian principles and ideas out of place. 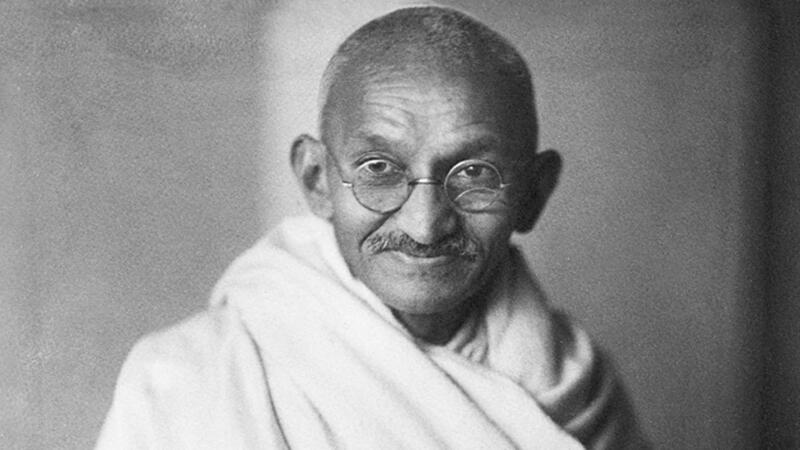 While Mahatma Gandhi criticized modern western civilization, he also appreciated many of its aspects such as rationality and scientific spirit. Mahatma Gandhi was not also totally against big industries. He simply wanted that the common masses were not exploited by interested capitalists who were greedy and profit-mongering- a concern shared by many in the world today. The message of the Mahatma, the enlightened soul, might mean differently to different people. Yet, the core of Gandhian philosophy such as notions of forgiveness, cooperation, reconciliation, and non-violence for a lasting peace and harmony are universally accepted and eternally relevant. It is for us to re-examine and look into his philosophy, life and ideas, and see how it can help us improve our world.